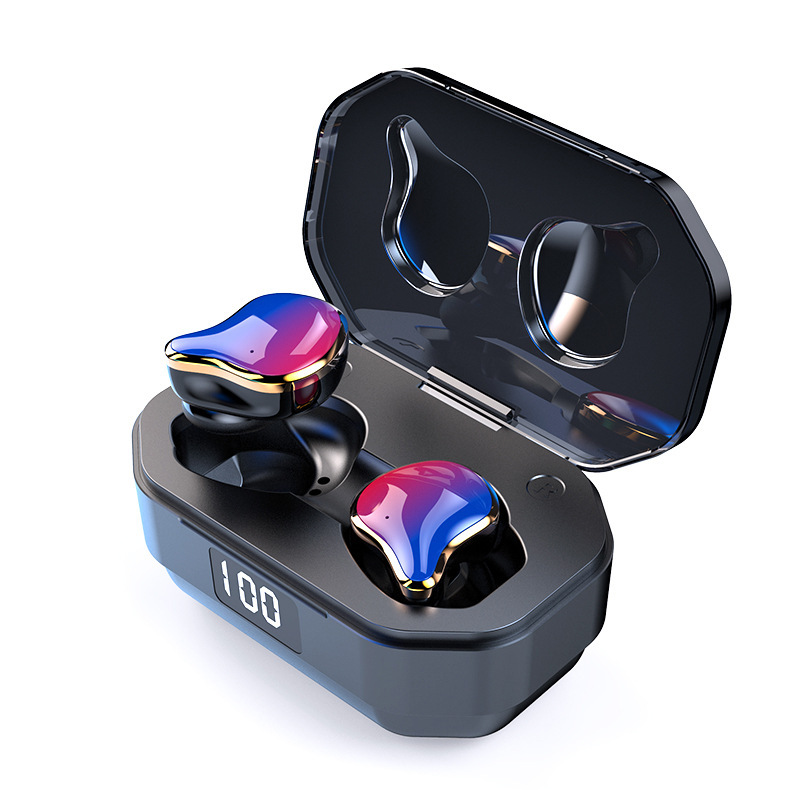 Bluetooth 3.0 wireless transmission technology brings you 10-meter working range wireless connection without any interference and enables you to enjoy the freedom and comfort of wireless. 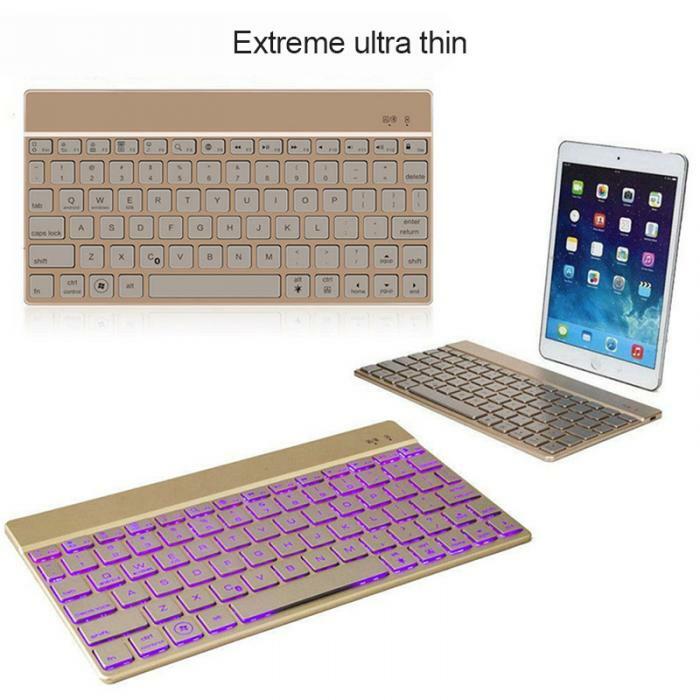 The Keyboard applies Broadcom Bluetooth Chip technology which only consumes 25% of the power compares to other standard Bluetooth Chip requirement. 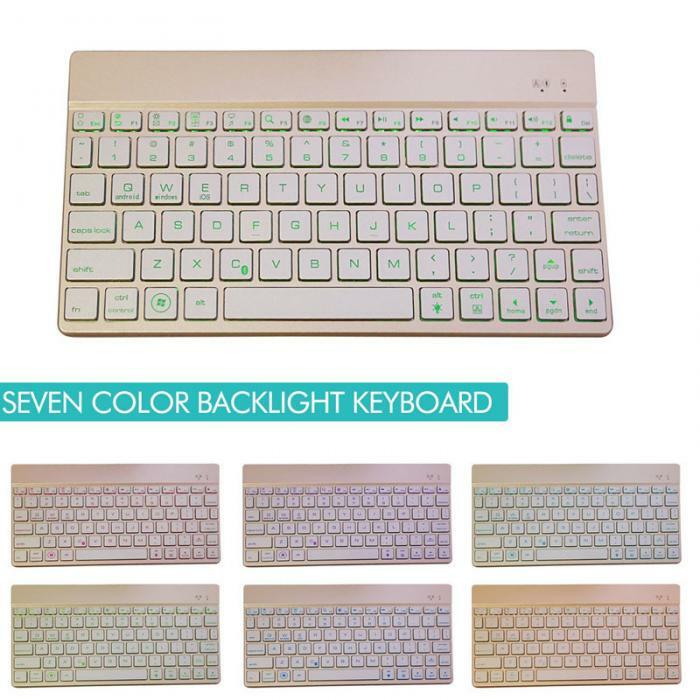 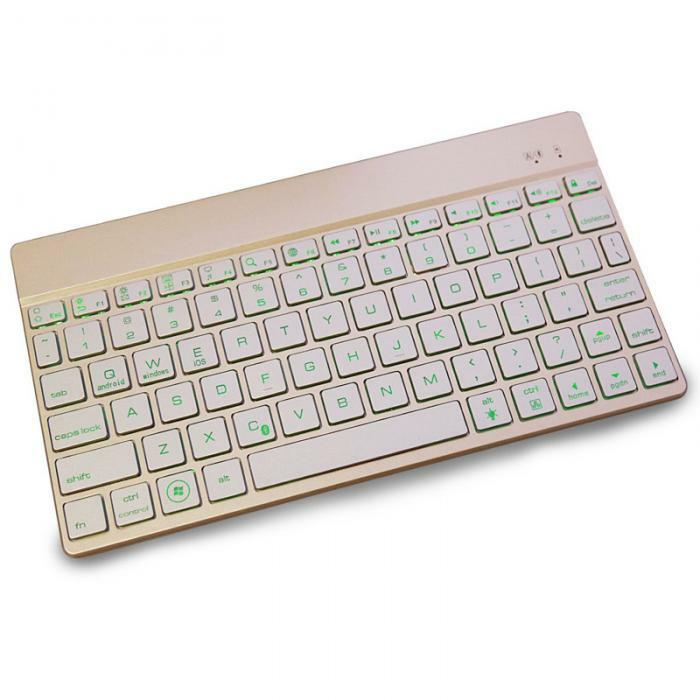 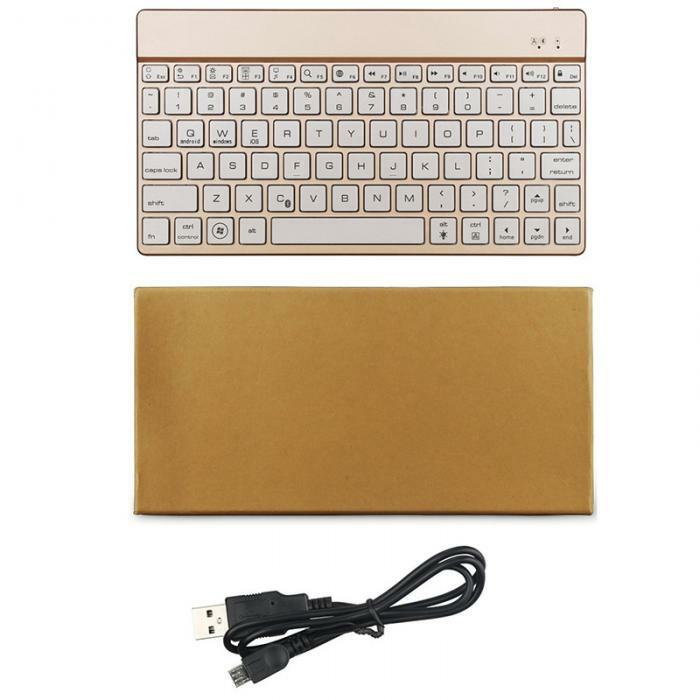 Use your Bluetooth Keyboard for Standby 120 days ultra-long time without charging. 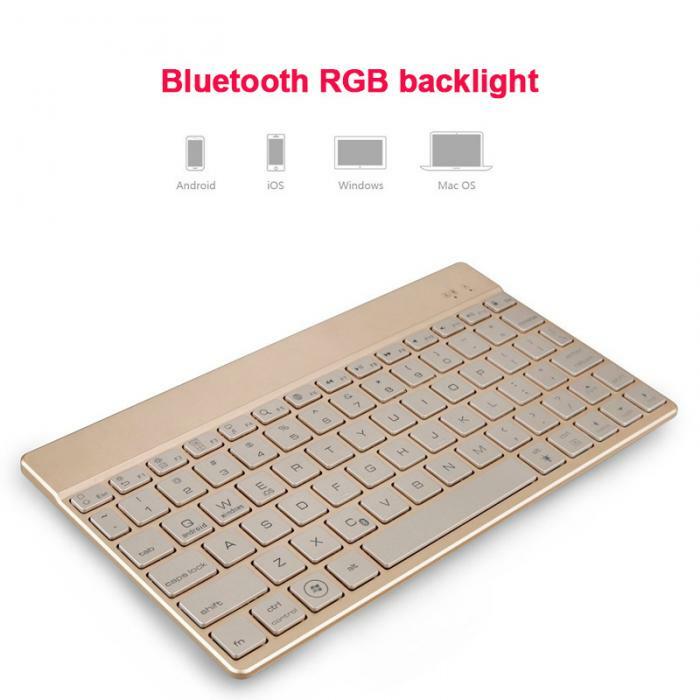 Built-in 500mAh rechargeable Li-polymer battery provides 300 hours of effective usage time without backlit / 5 hours with backlit open,on a single charge. 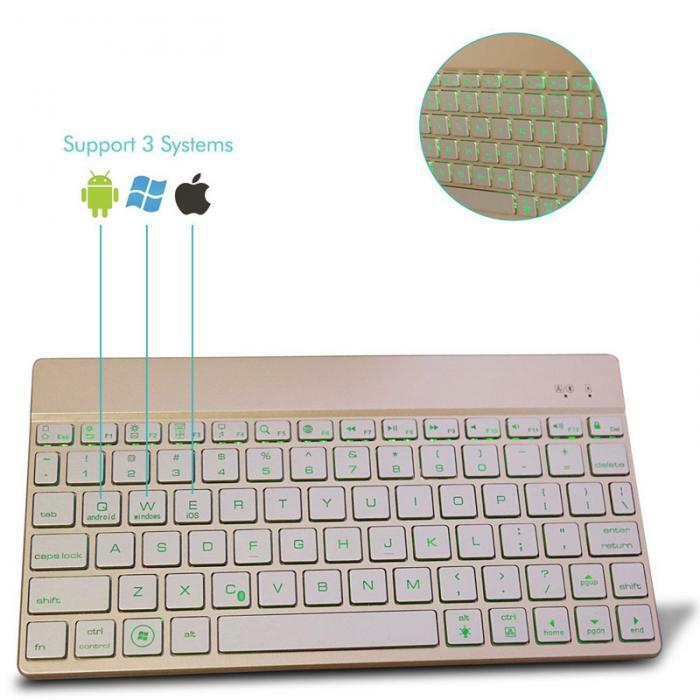 Compatible three major operating system: iOS / Android / Windows. 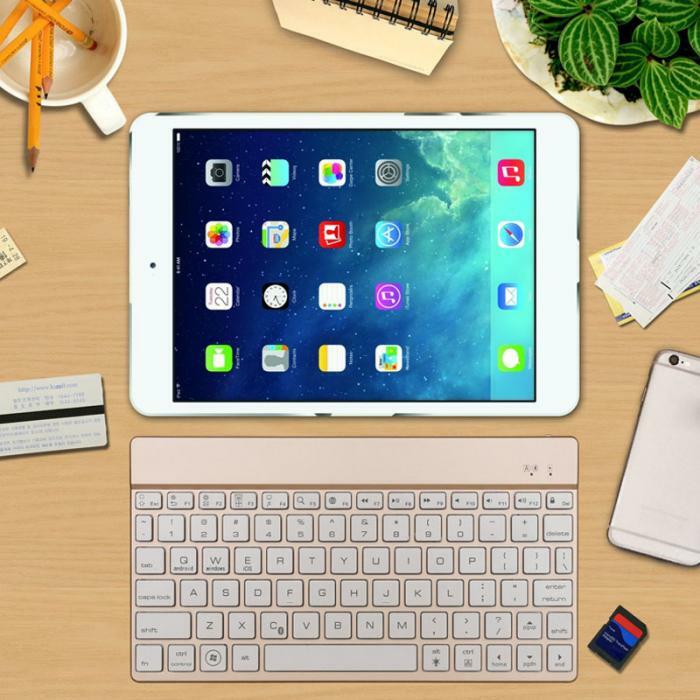 Works with all Bluetooth supported devices, even laptops and Tablet PC.